Young Romance Wild EP Young Romance 10"
Young Romance Pale Second press (/250) is in now! They've supported Mystery Jets, Summer Camp and Slow Club in Kingston - now we're excited to be releasing the debut from excellent local indie-pop duo Young Romance. 'Pale' is a coming of age for Kingston-based Young Romance. Having played together in bands for many years, it looks like 2014 is set to be the year where Paolo and Claire make their mark. Their musical evolution wraps joyous vocals depicting a sorrowful narrative in a blanket of distorted guitars - Young Romance draw on influences from Mystery Jets, Velvet Underground and The Kills to create an infectious take on alt/indie-pop. Fans of everything from The Vaccines to Summer Camp and The History Of Apple Pie will find something special here. 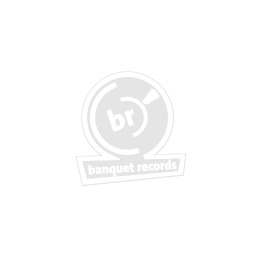 Pressing info First press white / 250 Second press grey / 250 http://www.facebook.com/YoungRomanceMusic Banquet Records 7"